Fall is a great time to feed the birds, and the right autumn bird feeding tips can help birders attract a wide variety of both resident species and migrating birds to their backyard buffet. 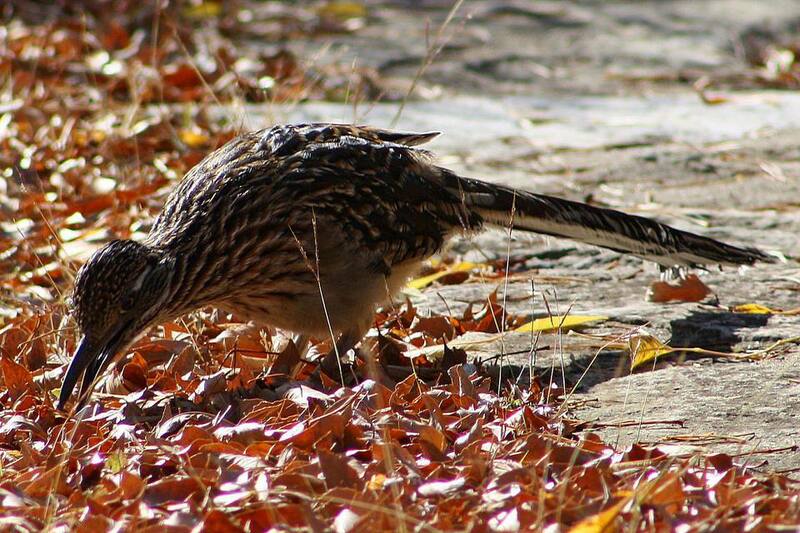 Several bird feeding myths surround fall feeding, and many beginning backyard birders mistakenly assume that feeding birds in fall will hurt their feathered friends. The biggest misconception is the idea that if the birds have a steady source of food available in autumn, they won't migrate, and then, when those feeders are empty, the birds will starve. In fact, a reliable food source is only a minor factor that affects how birds migrate. Daylight levels, climate and instinct also play important roles in seasonal migration, and feeding birds in autumn does not prevent migration but can help it. Migrating birds require tons of calories for the energy necessary to fly hundreds or thousands of miles, and feeders can provide an energy boost to passing migrants as well as help resident birds build up fat reserves for their journey or to survive falling temperatures. It is also a myth that there simply aren't birds around to feed in the fall. While many birds rely less on feeders in autumn because of the natural harvest abundance of wild berries, fruits, grains and seeds, bird feeders will still see plenty of activity. Backyard flocks will change as some resident birds leave for migration and more northern migrants arrive, but they will all welcome the opportunity to find an easy snack at bird feeders. Help resident birds build fat reserves for energy once they begin migration. Provide an easy food source for any migrating birds passing through the area. Offer supplemental food when natural food sources begin to be depleted. Attract the first winter bird species and encourage them to remain nearby all season. Help birds imprint on the location of reliable food sources so they will return to the same place in the spring. By feeding birds in autumn, not only do birders assist migrating birds, but they also help other migrants learn where to go next spring for good food, which will increase the size and diversity of their backyard flock. Birders should watch their fall flocks carefully and adjust food supplies as necessary to meet their birds' needs. Migrating hummingbirds may mob nectar feeders in early fall, for example, but later in the season nectar will only be a minor part of the backyard buffet. There is more to feeding fall birds than just providing the right foods. By keeping the backyard safe and meeting birds' other needs, a fall flock will be healthy, active, and diverse. Check feeders for damage from heavy summer use and repair them so they are safe for autumn birds. Choose fall plants that offer evergreen cover and lasting berries, nuts, or fruits for fall and winter food. Keep bird baths filled with fresh, clean water, and add a heater to the bath in late fall to guard against early freezes. Keep feeders clean and filled, even in poor autumn weather, to prevent spreading diseases among migratory flocks. Allow leaf litter to build up under trees and shrubbery to attract birds with shelter, insects, fallen seeds, and other foods. Squirrel-proof bird feeders with different tactics to prevent autumn foraging squirrels from depleting birds' food supplies. Protect exhausted backyard migrants from predators such as cats and hawks. Feeding autumn birds can be a rewarding way to enjoy the changing season just as a backyard flock is changing. By following these autumn bird feeding tips, it is possible to attract a wide range of autumn bird species and ensure they are happily fed throughout the season. Do Birds Eat Nuts? Yes! Which Birds Enjoy Cracked Corn?